Clearview Villas tilbyder to separate enheder. Den ovenpå, som har 4 soveværelser og 2 badeværelser (fås gennem VRBO), sover op til 8. Der er et soveværelse med en kingsize seng og eget bad, 2 soveværelser begge med queen size senge og et stort værelse med 2 enkeltsenge (kan konverteres til en konge). Disse 3 soveværelser deler en fuld bad på gangen. Alle værelser er farverigt indrettet og er udstyret med kraftige ventilatorer. Ud over de værelser, 3000 sq. Ft. Enhed har en rummelig åben grundplan perfekt til underholdende. Slap af og nyd den smukke udsigt fra stue / alrum og føle den himmelske brise, der strømmer gennem vinduerne !! Køkkenet er generøst udstyret til vacationer, der kan lide at underholde derhjemme, men øen byder også på nogle udsøgte restauranter for dem, der ønsker at spise ude! Den nedenunder enhed er en smule mindre med 2 soveværelser og 2 fuld bade, sove op til 6. Det store soveværelse ligesom ovenpå, byder på en king size seng og eget bad. Der er også en dag / trille seng i master, der ville være perfekt for familier eller venner, der rejser sammen, og har brug for den ekstra soveplads. Ud over dette, er der endnu et soveværelse med en queen size seng og en anden fuld bad på havet side af huset ... køkken / spisestue / stue nedenunder er hyggelig, afslappet og komfortabelt indrettet. Et af badeværelserne i placeret i det store soveværelse. The villa is in an ideal location at the water. It was immaculately clean when we arrived. Tryon does a fabulous job cleaning and maintaining the house. The management people were most helpful an immediately responsive to any situations that arose. Great place to relax and enjoy the view! We have always found Clearview to be the perfect place for our family's holiday needs. The villa is well managed and well maintained. Will come back again. The staff met us at the property and were immediately so kind and accommodating. The villa was very spacious! 4 bedrooms and 2 bathrooms, with an outside shower and spicket to rinse beach water and sand. Large living and dining space. We had 5 adults and 4 teenagers in the house and it was great! The kitchen was large and filled with amenities to create meals on our own. They provided all towels, bedding, and even beach equipment. Chairs, umbrellas, and snorkel gear. The upstairs villa was great because you had excellent breezes and views.i highly recommend that choice. We rented a car, a must when visiting anguilla. This allowed us to explore multiple beaches, restaurants, and stores. The villa had good wifi and TV with satellite service. I would stay here again for sure! Thank you! We just returned from 5 days at Clearview villa. There were 7 of us (adults) in the upper villa and it was perfect. Spacious, clean, with ductless (not noisy window units) ACs in each bedroom, and a fantastic large deck overlooking the ocean which was a great spot for morning coffee and evening drinks. Each room also had its own little safe, a nice touch but not one that is necessary on Anguilla, as far as I can tell. The living room and kitchen areas were spacious and never felt crowded for the 7 of us. The Island Harbor location is also great, close to Shoal Bay beach and to several great restaurants (Artisan, Hibernia, The Pit Stop). Mind you, everything is "close" on Anguilla, within a 30 minute drive, tops. I have to give special mention to the property manager Geenelle who went above and beyond the call of duty to secure a charter ferry for us in the last minute for my son whose flight was delayed and as a result was likely to miss the last public ferry from Marigot at 7 PM. She took it upon herself to make sure that he would be able to join us upon his arrival and she came through for us. Thank you Geenelle!! All in all, a great experience staying at Clearview Villas. This is our fifth stay at Clearview Villa Upper , when we arrived the place was spotless, super clean, the owner has kept up with all the maintenance, with new up grades every year. 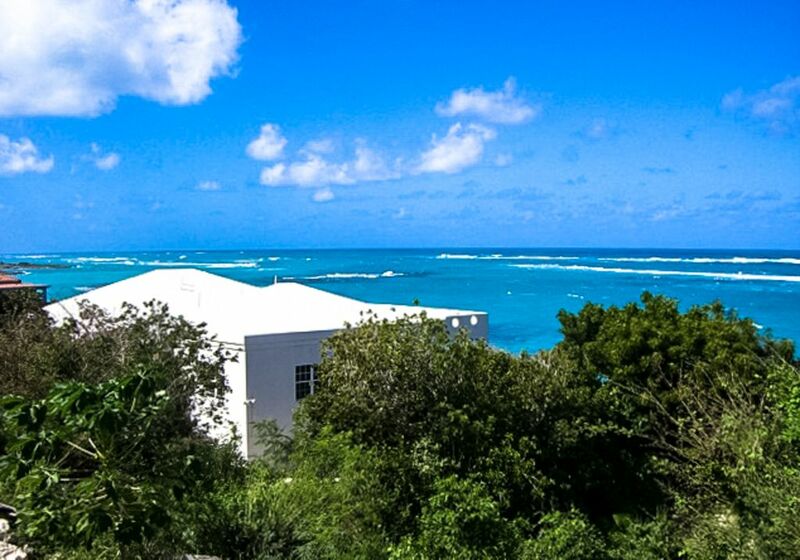 Villa is nothing fancy but is very well equipped with everything you need for a wonderful stay on Anguilla. The views of the ocean and hearing the waves at night, all great. We love staying at the Island Harbor end of the island people are friendly and are getting to know us, getting a evening drink on the beach and a grilled fish dinner , what more could you ask for. Five minute drive to our favorite beach, Shoal Bay East.The Internet worked great for the whole stay. The caretaker is very nice and calls or stops by every couple of days to make sure all is well. We had a great stay and have booked our trip again for next year.